Apple’s ‘Find My Friends’ Social Service Coming Soon To iCloud? A report published by 9to5Mac reveals a very interesting feature which could soon by making to iCloud before its pubic launch in the next couple of months. 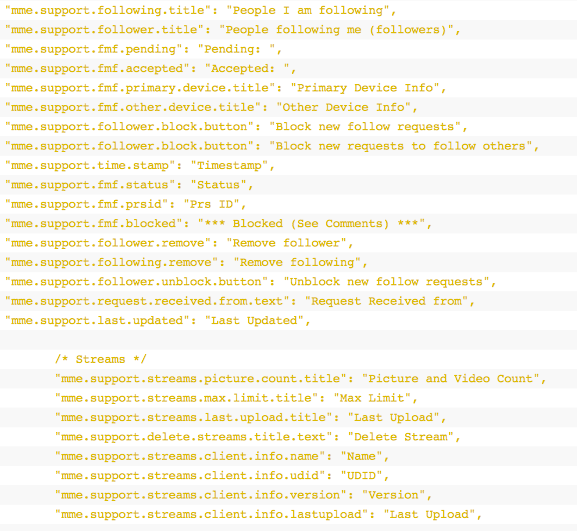 Initially discovered in iOS 4.3 SDK, more evidence regarding Apple’s ‘Find My Friends’ social service has been found inside HTML code of MobileMe / iCloud website. The code suggests that the service may allow iOS users to “follow” or “unfollow” their contacts much like Twitter. This will give user’s followers access to information such as his location, a custom profile, his Game Center stats and any other stuff linked to his Apple ID. It is also quite likely that ‘Find my Friends’ integrates with a user’s Twitter login. Besides having your friends or family member on a map for interaction, perhaps the most interesting part about Apple’s once planned – or upcoming – Find my Friends social network is that it ties right into Apple’s new iCloud and iOS 5 Photo Stream service. However, since there is no official work from Apple as yet regarding any iOS-based social service and also the fact that this code first appeared back in iOS 4.3, it could suggest that Apple might have decided to eventually scrap the project. What do you think?